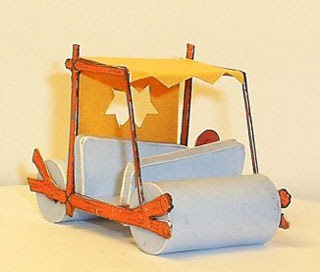 Fred Flintstone's first car before they had the family car (aka Flintstone Mobile). Papercraft design by Phils Creations. Comments posted on Paperkraft.net are moderated, please keep it on-topic and avoid using any profanity. For questions and requests, use the Contact page to email me directly. Nerfect Robot Papercraft - "Desmond"
Horrorwood x Speakerdog Paper Toys "Night & Day"
Tubii Paper Toy Series 2 "Hipfoot"
Copyright © 2006 - 2011 Paperkraft.net. All Rights Reserved. Powered by Blogger.